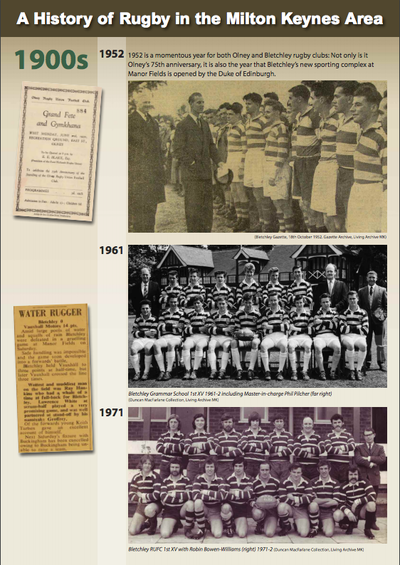 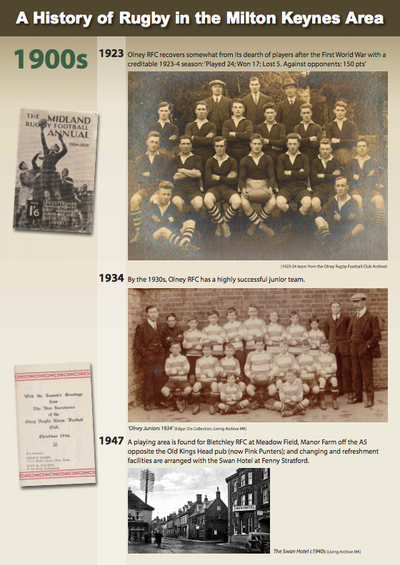 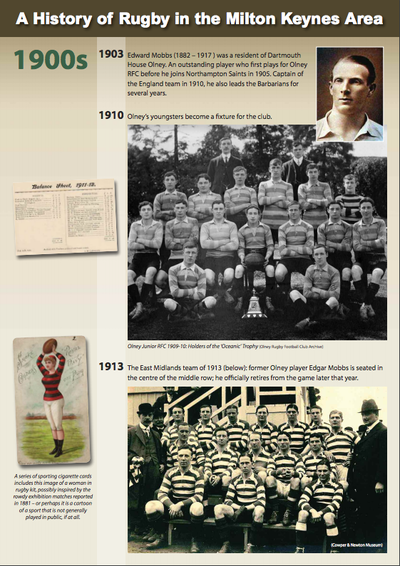 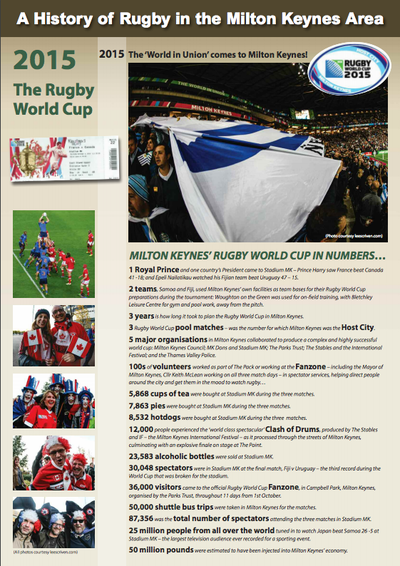 some In the year that the Rugby World Cup came to Milton Keynes, Living Archive MK began the process of researching club archives and collecting stories from fans, enthusiasts and players. 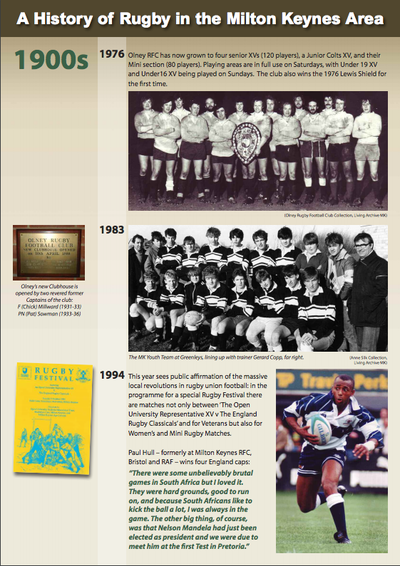 These exhibition panels show some of the results of that research. 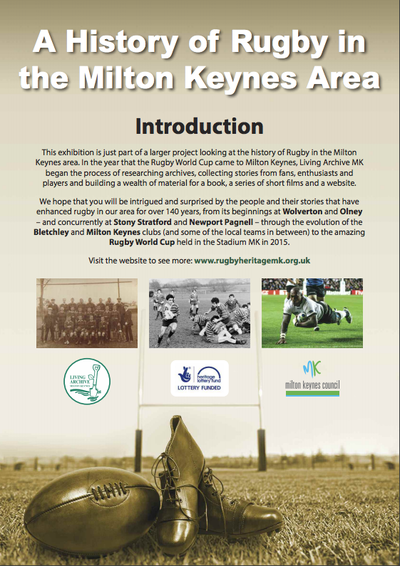 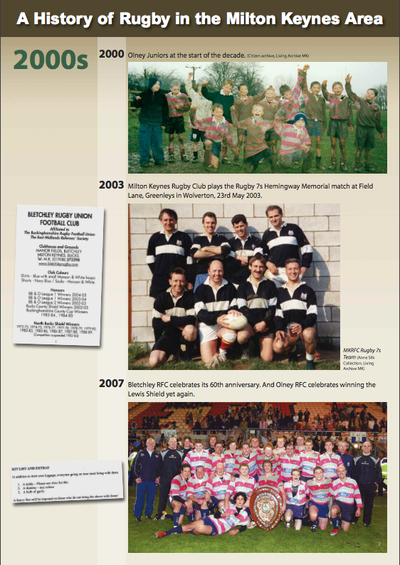 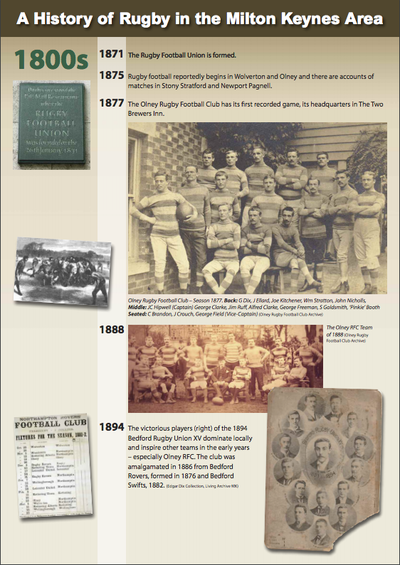 We hope that you will be intrigued and surprised by the people and their stories that have enhanced rugby in our area for over 140 years, from its beginnings at Wolverton and Olney – and concurrently at Stony Stratford and Newport Pagnell – through the evolution of the Bletchley and Milton Keynes City clubs (and some of the local teams in between) to the amazing Rugby World Cup held in our Stadium MK in 2015. 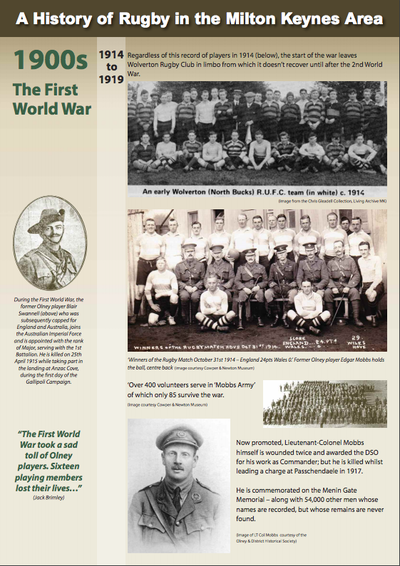 Please click on the thumbnail to enlarge the panel.